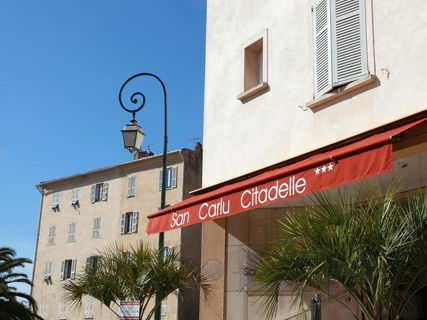 The San Carlu Citadelle hotel is in a very privileged location in the heart of Ajaccio's historic centre: it is the only city hotel within a minute's walk of Saint-François beach and in the immediate vicinity of the Marketplace Central of Ajaccio, the old fishing port, the Cathedral and the Bonaparte House. This charming hotel is also located close to many restaurants, shops and close to nightly activities enjoyed by locals. The team of this family hotel offers a warm welcome. 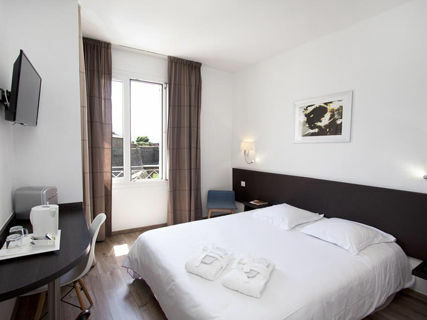 The spacious, air-conditioned and soundproofed rooms feature fully-equipped bathrooms and satellite TV. Some offer stunning views of the sea and the 15th-century fortress (citadelle). 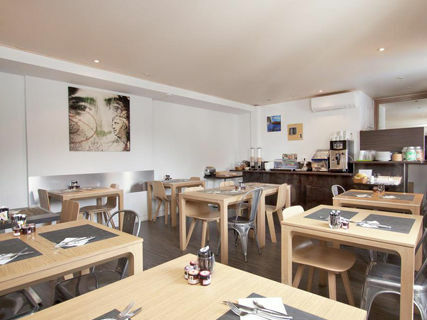 The comfort and quality of the services of this hotel as well as its generous and varied breakfast gives it a very good quality / price ratio. Public car park and parking spaces are nearby, luggage storage is available.